Alex Ovechkin and Nicklas Backstrom each scored one goal and added one assist to lead the visiting Washington Capitals past the Philadelphia Flyers 5-3 on Wednesday. Tom Wilson, Brett Connolly and Andre Burakovsky each contributed one goal for the Capitals, who won their fifth in a row. Dmitry Orlov also had two assists for Washington, which built a 5-0 lead and held on for the win. 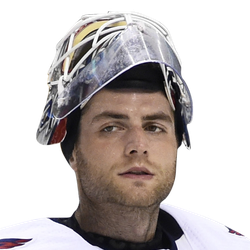 Capitals goaltender Braden Holtby stopped 27 shots and earned his 250th career win. Claude Giroux had one goal and one assist while Philippe Myers and Scott Laughton also scored. Sean Couturier added two assists but the Flyers had their two-game winning streak snapped. 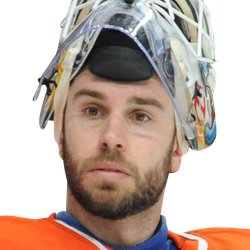 Flyers goaltender Brian Elliott stopped 15 shots and was replaced by Cam Talbot after allowing four goals. Philadelphia forwards Jake Voracek and Nolan Patrick sat out with injuries. Wilson gave the Capitals a 1-0 lead at 5:55 of the first period. As Ovechkin was falling to the ice, he still managed to send a crisp pass in front and Wilson was able to score. It was Wilson's 19th goal, a career-high. Connolly pushed Washington ahead 2-0 at 14:16 of the first. The Flyers appeared to be out of sync for much of the first with a number of turnovers in their own zone. Washington stayed aggressive early in the second and capitalized when Ovechkin scored his league-leading 46th goal of the season for a 3-0 advantage. Ovechkin improved his career point total to 1,199 with the goal and assist. After Burakovsky's goal at 4:18, Elliott was pulled for Talbot. Backstrom then scored at 5:37 on the first shot fired at Talbot for a commanding 5-0 lead as the Capitals scored three goals in a span of 3:05. Myers got the Flyers on the board with his first career goal at 19:48 of the second to close within 5-1. Ten seconds into the third, Giroux scored to slice the lead to 5-2.